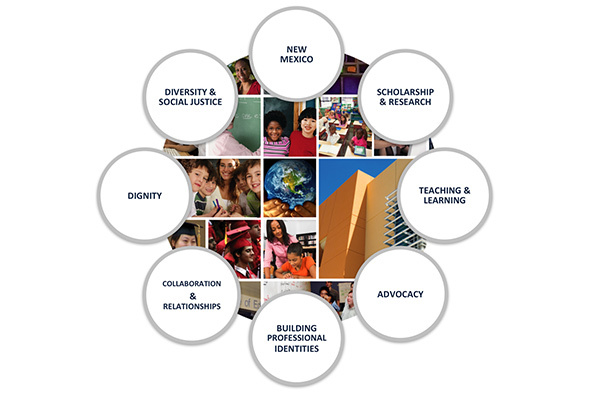 Welcome to The University of New Mexico College of Education’s (COE) website. 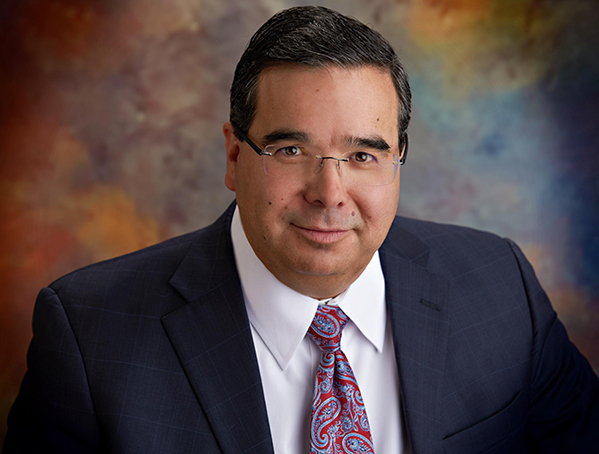 Since the founding of UNM in 1889, the COE has had a rich history of fulfilling an important and critical role in serving the educational needs of New Mexico. Our diversity is reflected in the 30,000+ alumni who continue to impact the State of New Mexico. I am privileged and honored to serve as the Dean of the College of Education. My faculty colleagues and I are committed to fulfilling our promise in transforming the lives of children, youth and families in our State by providing our students with a rigorous, research-based, and applied education. This promise is evidenced through our eight Core Values. Advocacy: In response to evidence of educational, social and political inequities, we promote activism to advance change. Building Professional Identities: We support the development of individuals as life-long learners and effective professionals who are grounded in their own identities. Collaboration and Relationships: We engage in authentic, active participation with all community members to develop solutions for the individual, local and global challenges we face. Dignity: We treat all people ethically, with respect and afford them the dignity that is their innate right. Diversity and Social Justice: We are dedicated to the analysis of social structures and power relations that hinder equal access for all, especially historically underrepresented populations, and to the educational and political work that addresses these inequalities. New Mexico: The peoples, cultures, histories and communities of New Mexico enrich our work. This sense of place influences all that we do. Scholarship and Research: We challenge ourselves to engage in scholarship and research that enrich the human experience, inform educational policy and practice, and address the needs of a complex, diverse world. Teaching and Learning: Teaching and learning are central to our work. We study, question, debate and revise these dynamic and robust areas of investigation in order to improve our practice. With these Core Values in mind, our College is committed to scholarship that serves to inform best practices and advances our respective disciplines. The College has 113 full-time faculty scholars. The COE academic community produces approximately 150 scholarly national/international journal publications and 5 books each year. The College is currently managing 46 externally funded grants totaling $13 million dollars. The faculty serve as editors or associate editors of 11 national journals. Forty COE faculty members serve on the editorial boards of 67 national and international journals. The COE is comprised of five departments offering 10 Bachelors Programs, 11 Master’s Program, 6 graduate certificate programs and 9 doctoral programs. The COE Center for Student Success promotes the success of our students – both in and out of the classroom. To this end, we thrive in our pursuit of your excellence. We believe that every student’s challenge can be met or overcome if each team member takes responsibility and acts with creativity. Relationships that are caring, respectful, supporting, and authentic are the basis for our work with students. With this in mind, the Center supports students by offering a variety of services, opportunities, and programs, including field service, academic advisement as well as a variety of other student-focused supports. Our students' success is evidenced by having nearly 600 degrees awarded along with approximately 70 graduate certificates during the 2017-18 academic year. UNM COE ranks* second and seventh nationally in the number of bachelor's degrees in education to Native Americans and Hispanics, respectively. Additionally, we rank #7 and 37th nationally in the number of master's degrees in education awarded to Native Americans and Hispanics, respectively. Our college ranks 8th and #13 nationally in the number of doctoral degrees in education awarded to Native Americans and Hispanics, respectively. We placed nearly 500 student teachers in 31 different school sites across the State of New Mexico during the 2017-18 academic year. The COE awards $216,000 annually via our 55 endowed scholarships. In closing, I invite you to embark on a relationship with the COE through your support, and encourage you to join our 30,000+ alumni community.